All the trains are exclusively American-made. Siemens USA built all of them in California. They used only parts manufactured in the US; there is no single part that was imported from abroad. These trains were specially designed for fast and smooth travel experience, because Brightline aims to change Floridians perception of train travel. Most Florida residents prefer navigating the clogged roads to slow Tri-Rail rides, but this alternative seems to have all it takes to change their commute habits. Transportation injuries are most often connected to cars, trucks, and motorcycles, and that’s understandable. After all, these means of transportation are the most widely used and are involved in most of the transportation accidents. 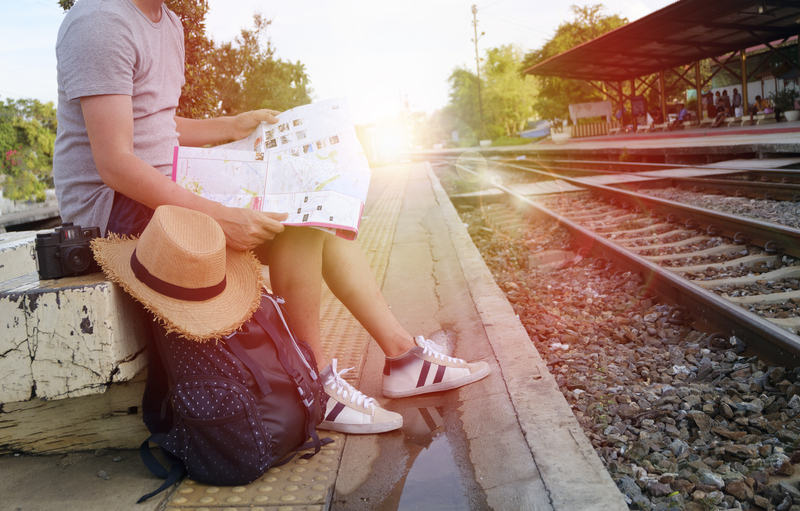 People rarely think of train travel as a road to a personal injury. The first association about it is sitting calmly next to the large windows while different landscapes are passing by in the distance. Train travel is probably the most romanticized way of transportation. This by no means can be related to some bad events. However, not all train trips are equally enjoyable. Train accidents happen as well. Not as often as car or motorcycle accidents, but they still happen. Derailments and train crashes are not the only causes of them. Consider slip and fall train accidents on trains and at the train station. Since trains move at high speed on a very specific surface, whatever happens during the ride can cause serious damages. Just imagine slipping and falling while the train is moving – that is not the same as slipping and falling while walking on the street. The same fall in the train could cause greater injury. Slip and fall accidents can also happen at train stations. Since 2013, around 11-12,000 rail accidents per year occur. They involve 8-9000 injuries and over 700 deaths per year. Obviously, train accidents are not that rare. It can even become a serious matter when you are injured in one of them. More specifically, if you are injured at a Brightline Train station or on a Brightline Train what are your legal rights and what are your options? The train accident personal injury lawyers at the Wolfson Law Firm are available to answer your questions free of charge. If you or a loved one suffered serious injuries on a Brightline Train or at a Brightline Train station, then you should call the Brightline Train accident attorneys at the Wolfson Law Firm. Our personal injury lawyers have helped injury victims since 1963 and they can help you too. We can assist you in recovering damages including medical expenses, lost wages as well as pain and suffering. No fee is ever charged unless and until we have obtained compensation for you. We serve the communities of Florida including Miami, Fort Lauderdale, West Palm Beach and Orlando. Call us today for your free consultation at (305) 285-1115 or toll-free at (855) 982-2067.